Why were the Victorians more fascinated with secrecy than people of other periods? 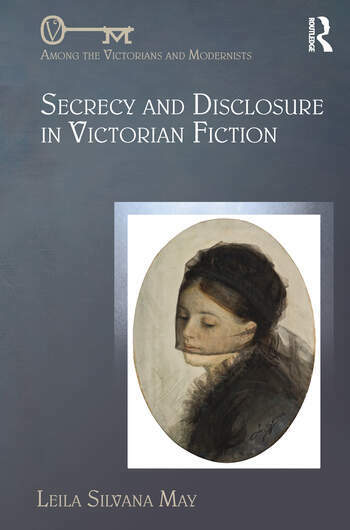 What is the function of secrets in Victorian fiction and in the society depicted, how does it differ from that of other periods, and how did readers of Victorian fiction respond to the secrecy they encountered? These are some of the questions Leila May poses in her study of the dynamics of secrecy and disclosure in fiction from Queen Victoria's coronation to the century's end. May argues that the works of writers such as Charlotte Brontë, William Makepeace Thackeray, Mary Elizabeth Braddon, Edward Bulwer-Lytton, and Arthur Conan Doyle reflect a distinctly Victorian obsession with the veiling and unveiling of information. She argues that there are two opposing vectors in Victorian culture concerning secrecy and subjectivity, one presupposing a form of radical Cartesian selfhood always remaining a secret to other selves and another showing that nothing can be hidden from the trained eye. (May calls the relation between these clashing tendencies the "dialectics" of secrecy and disclosure.) May's theories of secrecy and disclosure are informed by the work of twentieth-century social scientists. She emphasizes Georg Simmel's thesis that sociality and subjectivity are impossible without secrecy and Erving Goffman's claim that sociality can be understood in terms of performativity, "the presentation of the self in everyday life," and his revelation that performance always involves disguise, hence secrecy. May's study offers convincing evidence that secrecy and duplicity, in contrast to the Victorian period's emphasis on honesty and earnestness, emerged in response to the social pressures of class, gender, monarchy, and empire, and were key factors in producing both the subjectivity and the sociality that we now recognize as Victorian. Leila Silvana May is Professor of English at North Carolina State University, USA. She is also the author of Disorderly Sisters: Sibling Relations and Sororal Resistance in Nineteenth-Century British Literature.